When supplying military centers that are based in the desert, or healthcare facilities where power outages aren’t even an option, product quality takes a different meaning. In addition to certifying and qualifying our management system, we at SETF work tirelessly to provide our customers, with the best products around. In this regards, we have developed cutting edge designs and production techniques that have kept us abreast the latest in technical and technological developments. claimed outstanding performance, we have also achieved the Saudi Arabian Standard Organization (SASO), certificates and quality marks certification, to become the first Middle Eastern manufacturer to attain this certification. 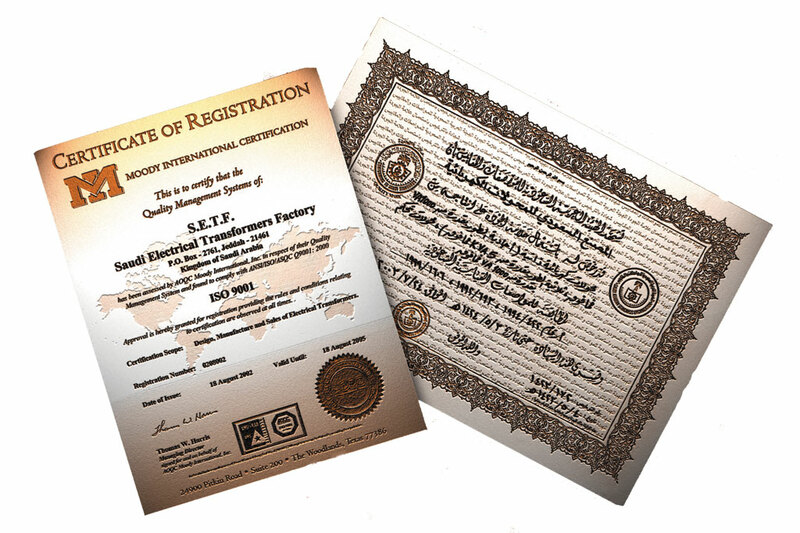 Given that the Saudi Arabian Standards Organization is the IEC umbrella in the middle east, the added benefit of a SASO quality mark is that it is in the meantime an IEC certification.